As parents of school age children, you may be concerned and confused by what seems like frequent changes to the educational system. You get frequent notes home telling you to be sure your child has a good breakfast and a good night’s sleep in order to do well on the standardized tests that will be given the next day. You hear or read about Common Core State Standards and PARCC, but are confused about what it all means. Here is a brief overview of some key changes currently happening in New Jersey. 1) The state adopted the Common Core State Standards in math and English, specifically in language arts and literacy. In a nutshell, Common Core establishes what experts believe every child should know on the topics that are covered in each grade. For example, standards are established for every third grade student so that at the end of a school year, all third grade students in the state will have been taught the same third grade curriculum.The focus is on critical-thinking and problem-solving analytical skills that children will need for real world successful living. 2) With new standards, come new assessments. So, New Jersey also joined the Partnership for Assessment of Readiness for College and Careers (PARCC). PARCC is a group of 19 states that are developing and testing assessments based on Common Core. The idea is for PARCC to more accurately assess student progress and keep them on a college-readiness track. NJ-PARCC is an assessment program that will be implemented during the 2014-2015 school year. The testing begins in the third grade and will be given throughout the school year until the end of the 12th grade. PARCC is aligned with Common Core and tests students’ ability to apply the knowledge they have gained and does not just test to see how well students have memorized facts. How is it different from NJ-ASK? The main difference in PARCC and NJ-ASK is that PARCC is aligned with Common Core and tests specifically on subject matter students were taught during the school term preceding the test. NJ-ASK was not based on linking the testing to the curriculum for the particular school year preceding the test. Another difference is that PARCC is completely computerized. Students do not use pencils and answer sheets. There are many benefits to this type of testing, including a faster return of test results to the teacher, school and parents. 1. Download the Sample tests from the NJ-PARCC website. 2. Make sure your child has good typing skills. There are various typing apps you can try. 3. Teach them Mental Math. How Math Genie can help. Our entire curriculum upto 7th grade is aligned with the Common Core and NJ PARCC Standards. Since we focus on Mental Math, students will find it very useful to solve the problems on the computer. Our Core Curriculum books are now completely aligned to the NJ-PARCC. All Math Genie students will receive the Core Curriculum books this fall. 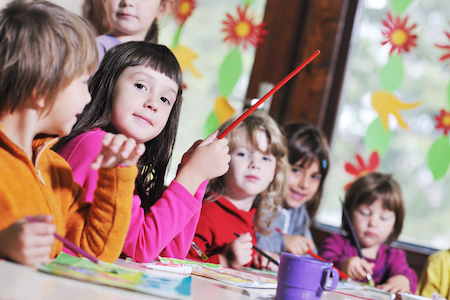 Schedule a free assessment to test your child readiness for the NJ-PARCC this year. Call 732-234-9999 or fill out this form.